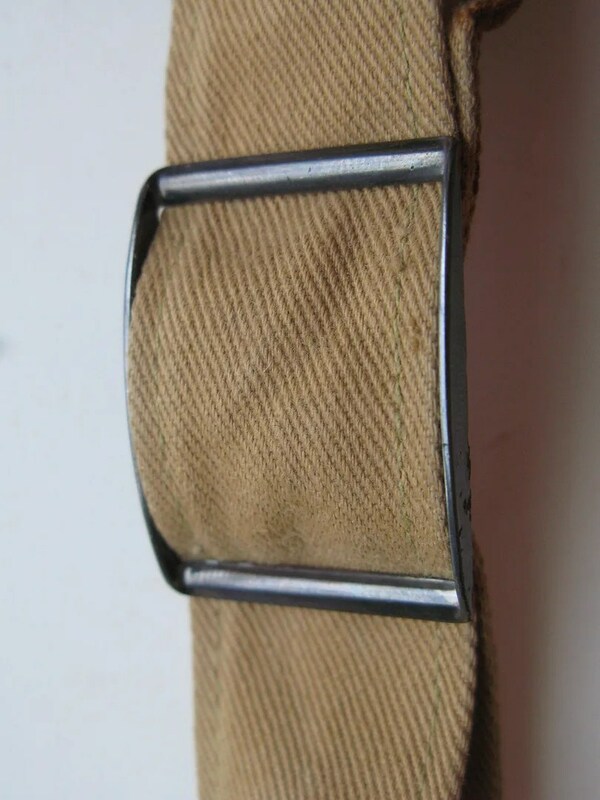 This vintage money belt was made in 1917 or early 1918. 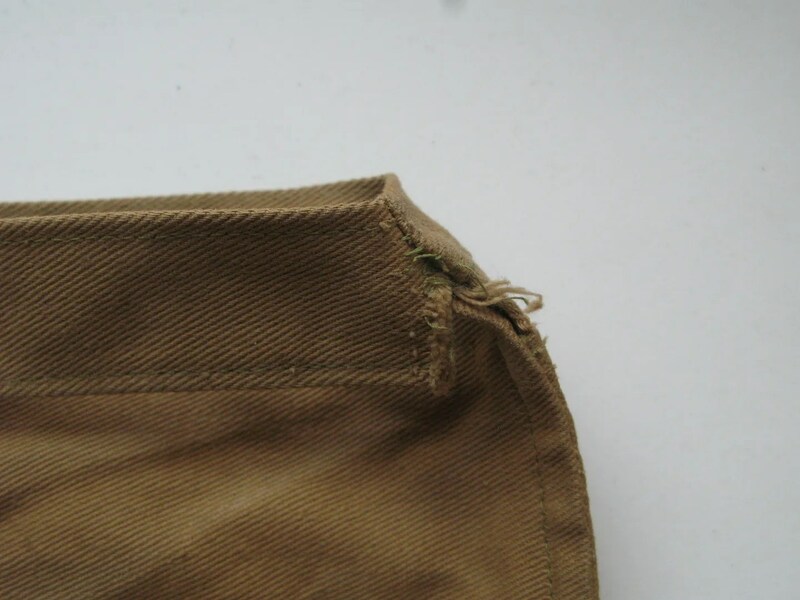 It is khaki colored canvas, with a three compartment zippered pouch and a waist belt. 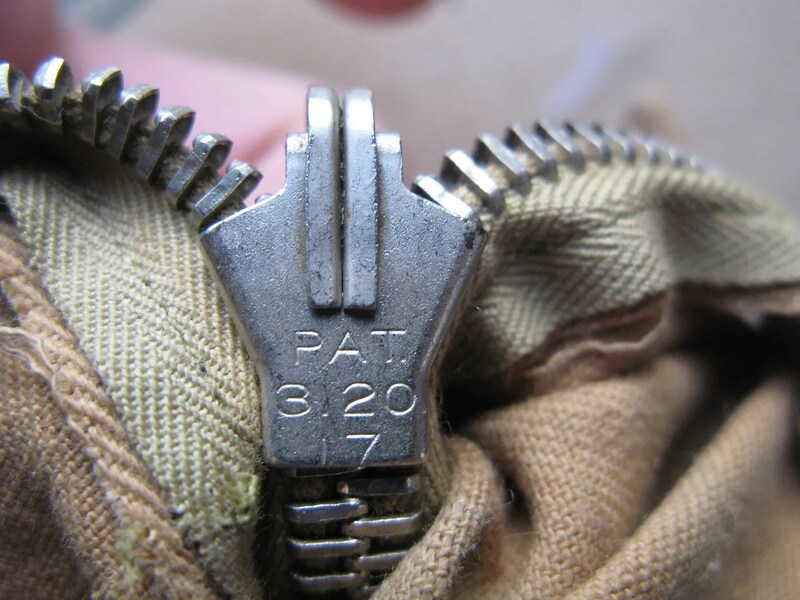 These were generally advertised to servicemen during WWI, and were one of the earliest applications of the then brand-new Hookless fastener. 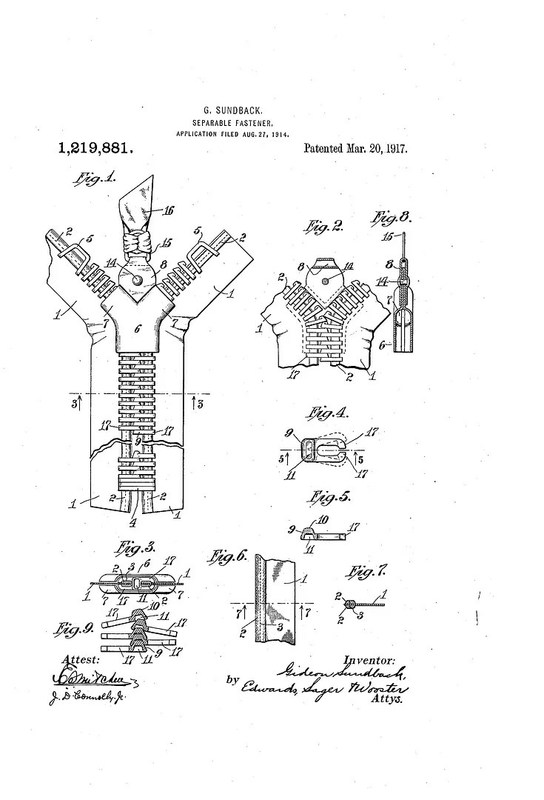 The zipper on this one is the earliest production model produced by Hookless, produced under patent no. 1219881, applied for in 1914 and granted in 1917. An improved model came out later in 1917, narrowing the dating of this model down significantly. These early sliders were intricate, and were simplified significantly in later versions. 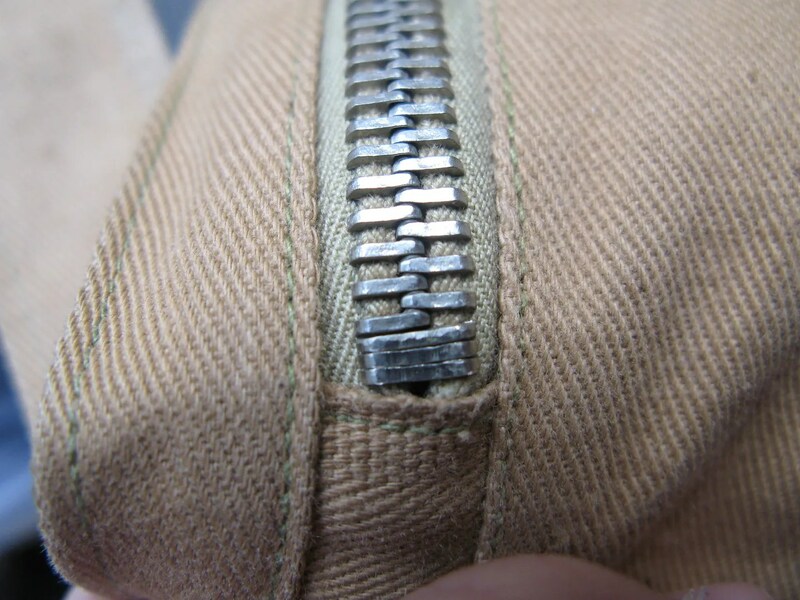 The stop at the end of the zip is made from unstamped teeth, unlike later versions, where this was a specialized component. 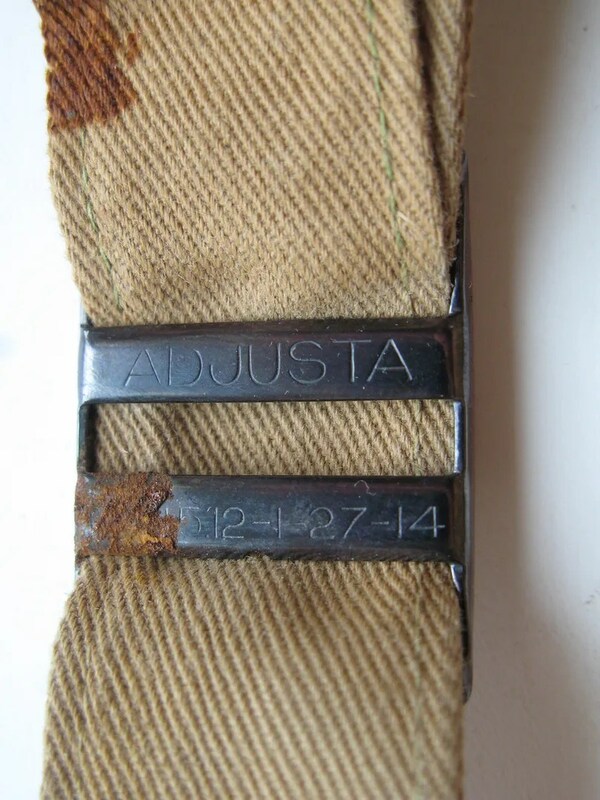 The buckle on the belt was made by Adjusta and was patented in 1912, and on January 27, 1914. 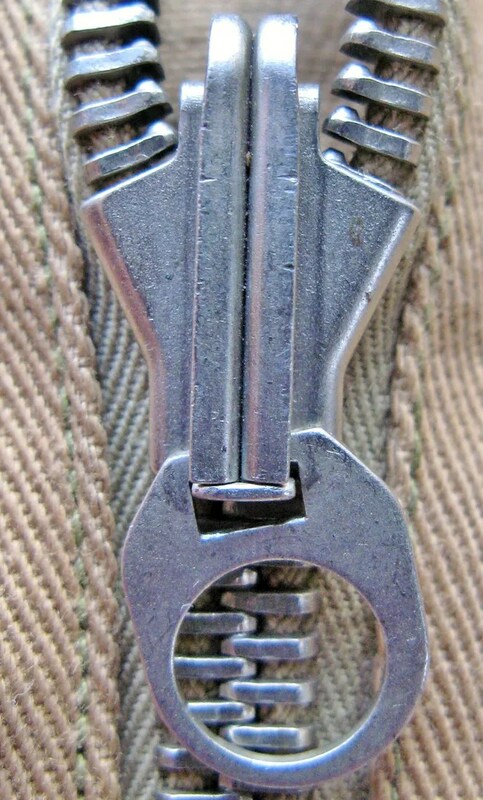 This entry was posted in Accessories and tagged 1910s, beer, clothing, fashion, Gideon Sundback, hookless zipper, Hookless zipper no. 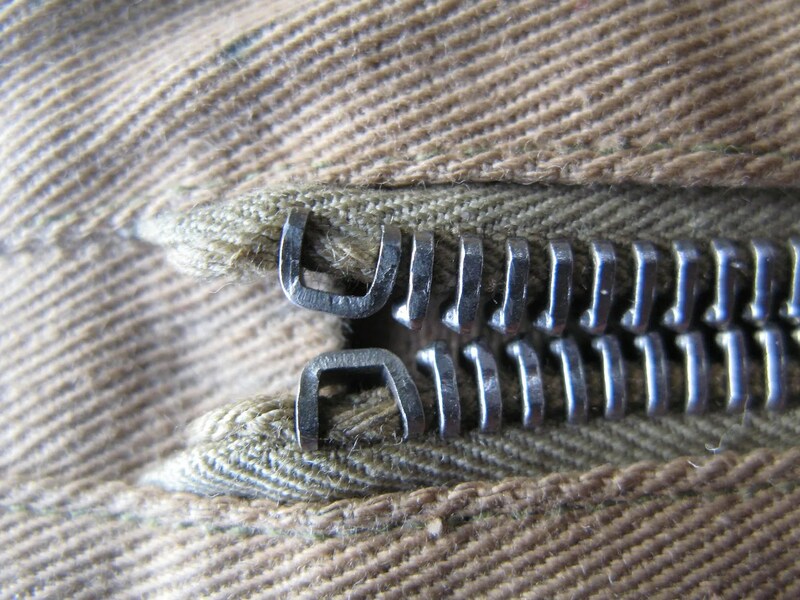 1, hookless zipper no. 2, money belt, original, photo, style, talon zipper, vintage, World War One, WWI, zipper by Spencer Stewart. Bookmark the permalink.